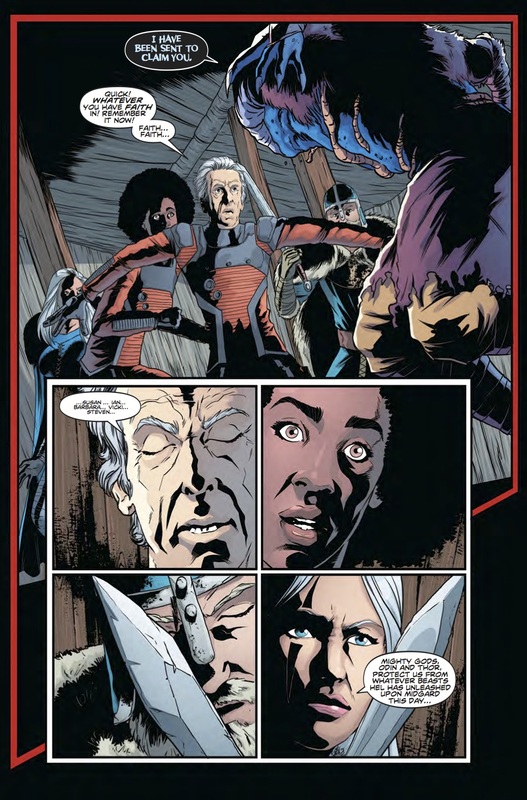 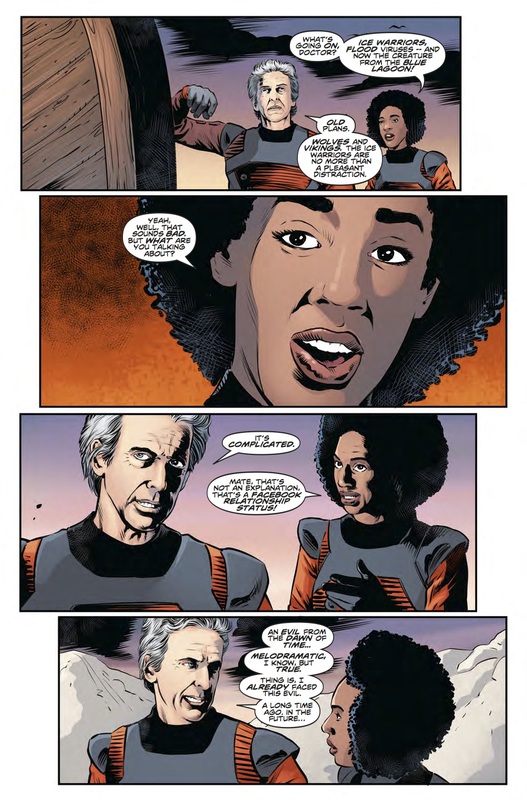 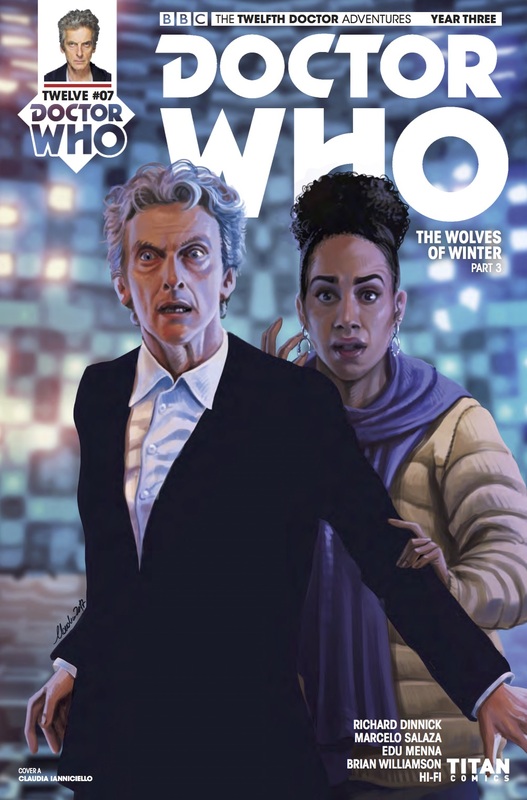 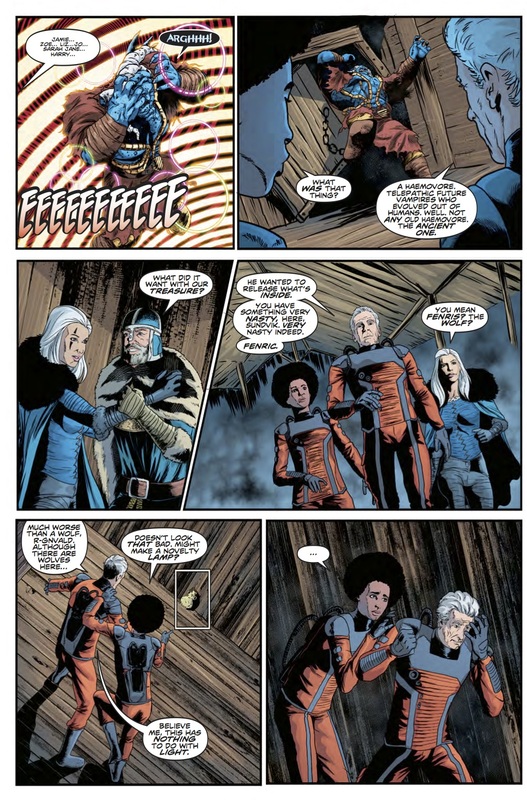 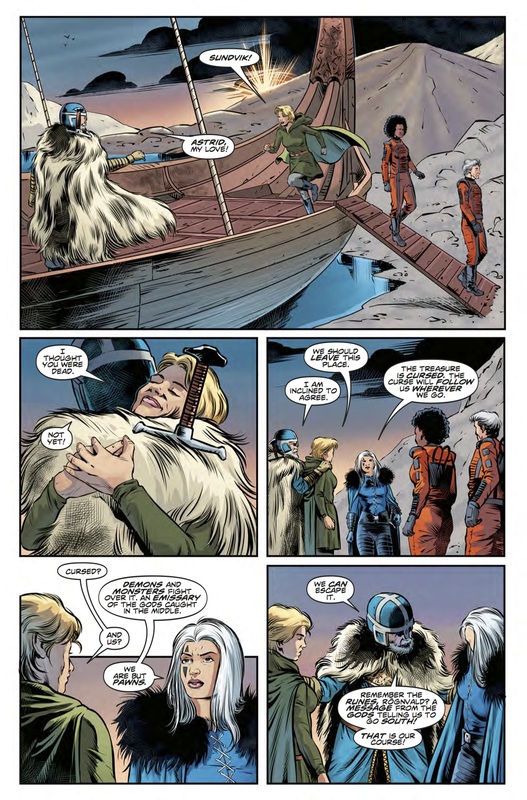 The Fellowship has obtained a first look at ​ DOCTOR WHO: THE TWELFTH DOCTOR YEAR THREE #7 from Titan Comics. 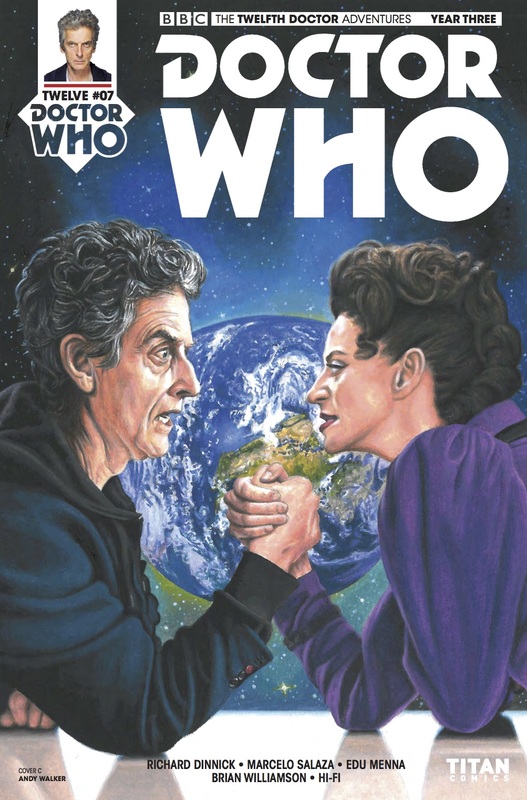 The issue, which hits stores September 20th, is written by Richard Dinnick; with art by Brian Williamson. 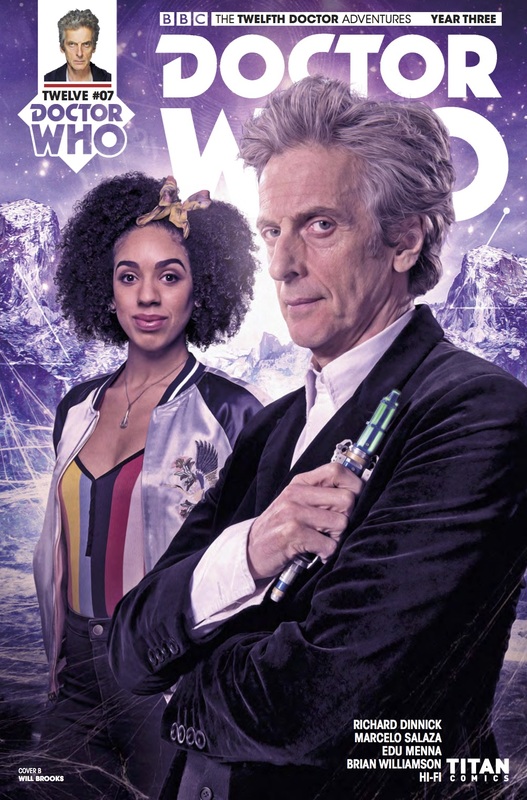 The covers are by Claudia Ianniciello​, ​a photo ​cover, and ​Andy Walker.